Capitol is our 'up and coming' on the Red Angus side of things. Purchased from Ter-Ron in their Get-A-Grip Bull sale in 2016, he was the 2nd high seller of the sale. 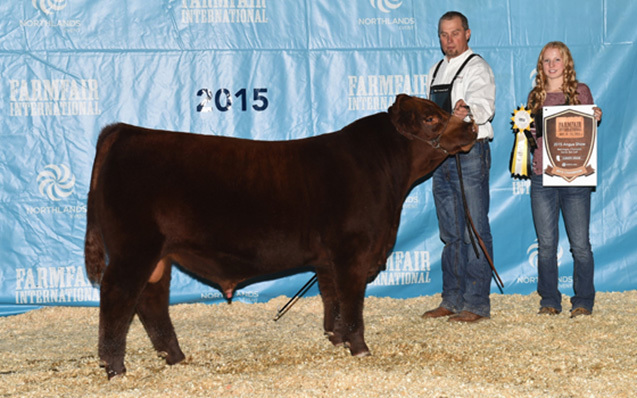 Owned with Ter-Ron and Diamond C Liberty Angus in Saskatchewan, Capitol was named Senior Bull Calf Champion at Farmfair International 2015. We were taken with Capitol for his soft hide, his deep sided, low to the ground belly, and his excellent soundness of movement. His maternal grand sire, Zama Pine, was outcross genetics for us that came with high recommendations from various herds, as well as Twin Heritage Hustle on the top side, new breeding full of promise and potential. Capitol's first calf crop left us with fancy and consistent heifer calves, and his first sons sell in 2018. We look forward to crossing Capitol onto some of our most influential females, and seeing where the cards fall. 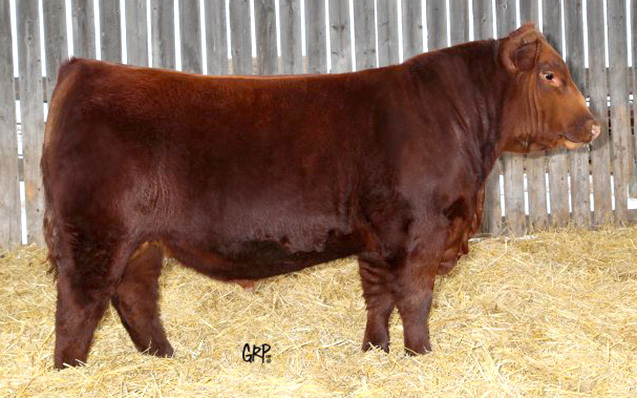 Undoubtedly, Capitol 50C will be a bull that can help move our Red Angus herd in the right direction for years to come.